a California landfill, an Arizona gun shop, the cab of a long-haul truck in Iowa, and the stadium of the Cincinnati Ben-Gals cheerleaders. Cheerleaders? Yes. 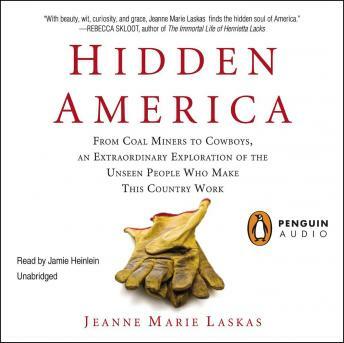 They, too, are hidden America, and you will be amazed by what Laskas tells you about them: hidden no longer.